Gas Valve Hot Surface Ignition used in Rheem; Ruud equipment. Technical Specifications: 1/2 inch inlet x 1/2 inch outlet; 24 Volts Natural Gas. Fast Open 150,000 BTU at 1 inch H2O. 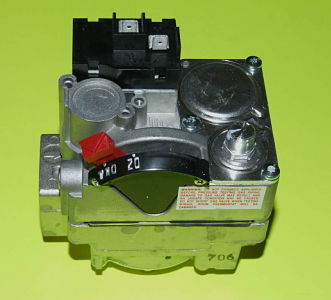 Replaces Part Numbers: 60-22525-04; 6022525-04; 60-2252504; 602252504; 7200DER. Used in Rheem; Ruud Models: RGLE models; UGLE models; RGLE06NLACR; UGLE06NLACR and many others.